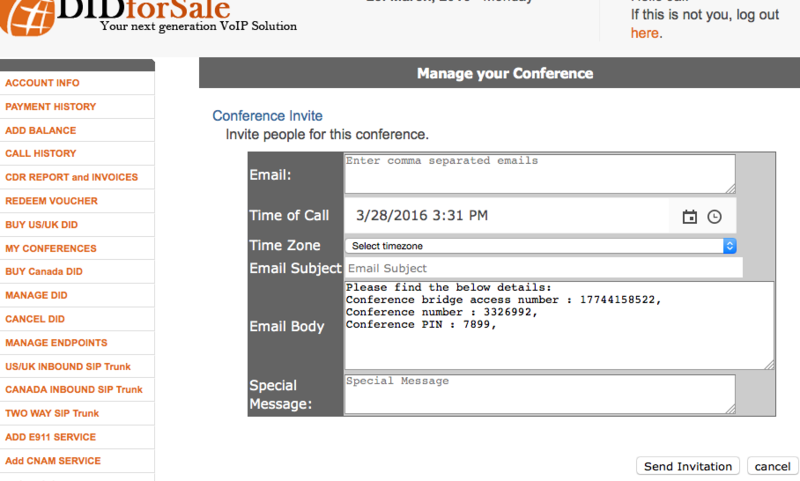 DIDForSale offer free conference call service to all registered users and active customer. Using conferencing is very easy. Here are simple steps. Click on My Conferences. Here you can see the list of active Conference. Click on Add Conference to create a new Conference bridge. Click on Add Conference to create a new Conference. You can create a separate pin for the moderator. With a separate moderator pin people can join the conference but can not talk to each other unless moderator join the conference. To invite people to join the conference. Click on Invite. Here you and select the time, enter email address of people you want to invite. You can also add a special message. 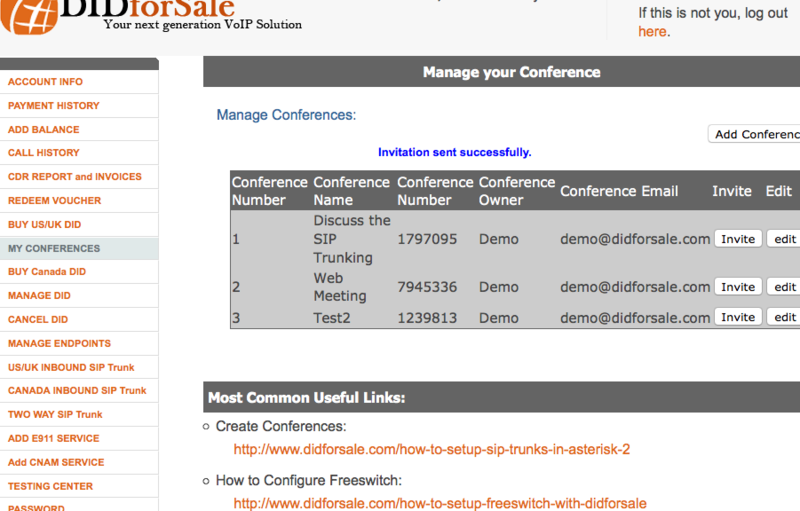 Free Conferencing is a courtesy service to DIDForSale customers.